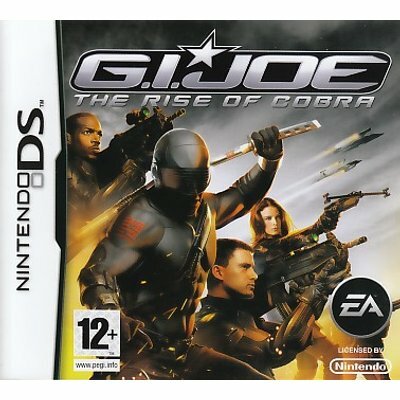 Suit up, grab your gear and prepare to lock and load as you take control of the elite GI Joe team against the evil forces of Cobra. The game elaborates on the storyline that drives the major motion picture of the same name, but is not bound by it. This means that along with many of the characters that make an appearance in the movie, you can also expect to see additional faces and references from the franchise. Move Beyond the Movie - All-new storyline developed exclusively for the game picks up where the movie leaves off. Live GI Joe - Experience the greatest moments from the film, cartoons and toys. Pick Your GI Joe Team - Choose from 12 GI Joe characters, as you exploit their unique fighting styles, skills and weapons. Unlock Playable Cobra Characters - Play as four different Cobra characters. Venomous Cobra - Battle the deadliest Cobra bosses as you snake your way through enemy territory. Pedal to the Metal - Command heavy firepower with GI Joe vehicles and artillery. 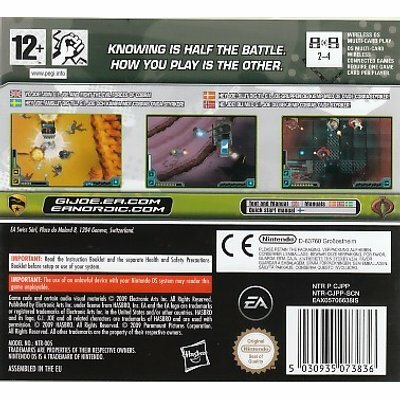 Built for the DS - Unique top-down arcade shooter, built from the ground up specifically for the Nintendo DS. Multiplayer - Create your own GI Joe vs. Cobra battles up to 4 players (via wireless play).